A high-energy musical experience with a huge diverse mix of hit songs from the last four decades. Four lead singers, electric guitars, a bass, drums, plus a saxophone and a little technology creates a show that grabs you from the first note of the evening and carries you through the last song of the night. Zero to Never's set list represents almost every genre in popular music from modern pop/rock, 70’s funk/disco, hip-hop, and beach to Motown. 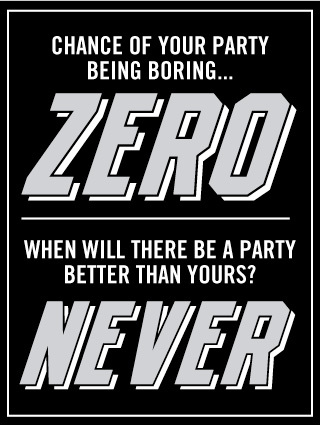 Together Zero to Never creates the ultimate in party experiences no matter the occasion, whether it's for a wedding or corporate event the band will make sure the outcome is unforgettable! combines his bass and guitar skills with keyboards and saxophone to provide a horn section for all 70’s funk, beach, and dance songs. His instrument juggling and powerful rock vocal range is the key to us pulling off hits by artists such as Journey, Bon Jovi, Bruno Mars and Train. is a music school graduate who majored in guitar performance. He grew up in the 80’s rock era and embellishes even the fastest guitar solos from artists such as Guns N Roses, Ozzy Osbourne, and White Snake. His vocal style is folk artist meets blues singer covering artists like John Mellencamp, KC and the Sunshine Band, and Boy George. is bandleader and visionary on guitar, bass, keyboards, lead vocals and even designated rapper. He sings a wide variety of party favorites such as the B-52’s, the Beastie Boys, and even Miley Cyrus! For Jeff, it’s all about the performance as he is the emcee with humorous commentary that invites crowd interaction in the form of singing, dancing, and cheering.